Unlike 2D printing 3D Printing is a time consuming. A slicer can be configured in such a way that it will fill less in each layer, thus speeding up the print and using less filament. 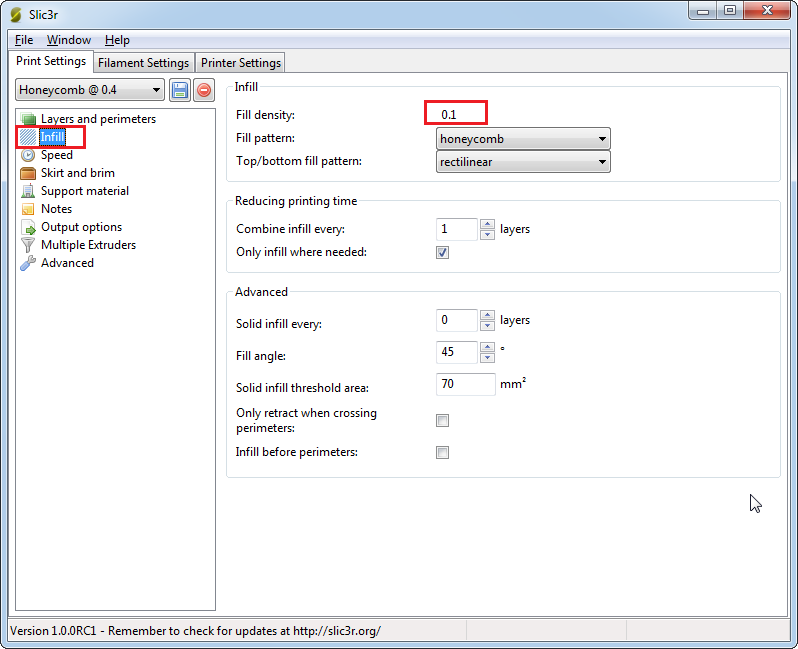 In this article we will see how to speed up thing when using Slic3r for slicing. Fill density under Infill is the one which controls the layers density. Value Range: This value range for Fill density is 0.1 to 1. Hope you can now reduce 3d printing time and material, let us know your comment.